The Best Books Ever: Books that Scared the Pants off of Me when I was little! + Giveaway! 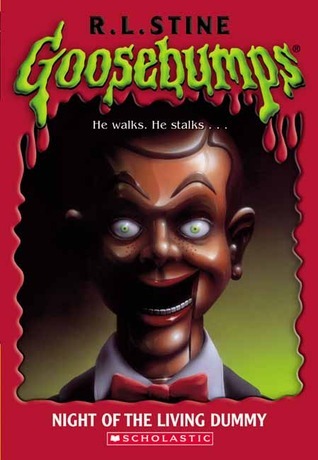 Books that Scared the Pants off of Me when I was little! + Giveaway! Shivering skeletons, ghostly pirates, chattering corpses, and haunted graveyards...all to chill your bones! Share these seven spine-tingling stories in a dark, dark room. There is one story in this set that scared me to bits as a little kid. There is a young woman in bed and she wears a green ribbon around her neck. When someone pulls the ribbon off of her neck- her head falls off! Zoe and Zoe Louise are friends- best friends- living in both the past and the present. Connected by a back staircase in a house where Zoe Louise once lived and Zoe now lives, the two girls are ghosts in each other's lives. Did I mention I am a pansy? This story was so creepy! I remember the end- Zoe Louise's skin melts off of her face. I literally had nightmares for months about this book. Perhaps that is why I hate ghost stories so much. I just don't get them and they creep me out. I end up sleeping with the lights on and my TV on and my head under my blanket. The perfect suntan. Soaking up the rays. Fun on the beach. That's what Claudia Walker had in mind when she accepted her friend Marla's invitation to spend the weekend at her cliffside beach house. Little did she know that horrible accidents—fatal accidents— would occur on the beach and in the house. But Claudia knows they're not "accidents". She's sure somebody is out to get them...out to kill them. The week of "fun in the sun" has turned dark and deadly! When twins Lindy and Kris find a ventriloquist's dummy in a Dumpster, Lindy decides to "rescue" it, and she names it Slappy. But Kris is green with envy. It's not fair. Why does Lindy get to have all the fun and all the attention? Kris decides to get a dummy of her own. She'll show Lindy. Then weird things begin to happen. Nasty things. Evil things. It can't be the dummy causing all the trouble, Can it? Ok, the girl with the green ribbon around her neck freaked me out so much! It's probably been twenty years since I read it but if my kids want to hear a scary story, that's the first one I think of! I'm glad it made such a lasting impression on at least one other reader!! I sometimes hate being INT :( haha. R.L Stines books were the best. I'm easy to scare and they always gave me nightmares, but I still couldn't resist reading them! Ahhh I remember being so freaked out by those first two! There was one Goosebumps one that I found really creepy, it might have been the worm one. I'm okay with all sorts of gruesome stuff but I hate reading anything about bugs!